The unstoppable rise of Isomax Acoustic Fans has been one of the major success stories of recent years in the UK indoor gardening market. With a reassuringly robust design and high quality components, each of the four units will comfortably help you overcome the challenges of extracting air from a modern grow room. 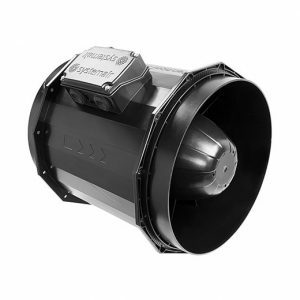 Key features include the innovative baffle and acoustic lined chamber (much like a very large silencer) that successfully combine to minimise overall noise output whilst allowing for movement of gargantuan amounts of air. Both of the two smaller fans also provide convenient inbuilt fan speed controllers, offering even more value for money! Very highly recommended! 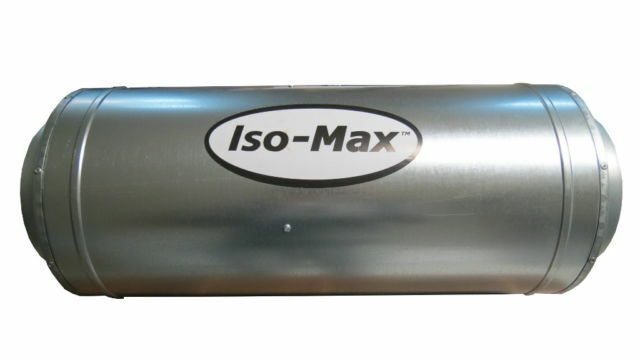 The Iso-Max is based on the tried and tested Max-Fan and is a unique Can-Fan product. This high efficiency ventilator has 2 propellers, one rotor and one stator, which produce a uniform jet of air as opposed to the one propeller ventilation which creates an airflow which will result in a swirl. 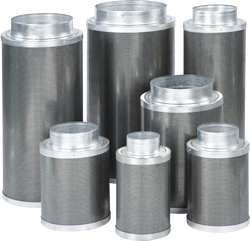 The uniform jet of air makes less contact with the ducting resulting in less pressure fall and therefore higher efficiency. 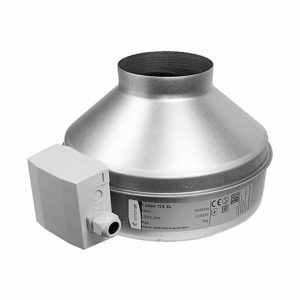 The market is highly in need of such a high pressure strong ventilator combined with low noise management. 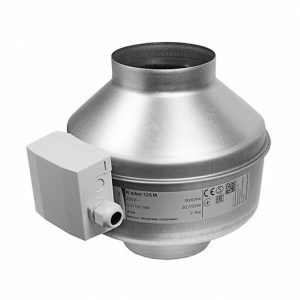 Therefore, Can Fan created the Iso-Max: A Max-Fan with a silencer integrated in one metal casing, available in different versions.The 150mm and 200mm diameter are available with or without a three-speed switch. 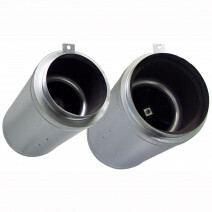 Iso-Max have motor thermal protection included as well as mounting brackets for ease of use. The unstoppable rise of Iso-Max Acoustic Fans has been one of the major success stories of recent years in the UK indoor gardening market. 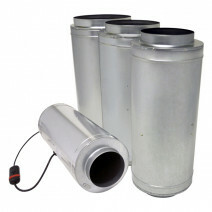 With a reassuringly robust design and high-quality components, each of the six units will comfortably help you overcome the challenges of extracting air from a modern grow room.Key features include the innovative baffle and acoustically lined chamber (much like a large silencer) that successfully combine to minimize overall noise output whilst allowing for movement of gargantuan amounts of air. 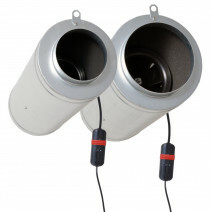 Both two smaller fans also provide convenient option inbuilt fan speed controllers, offering even more value for money!